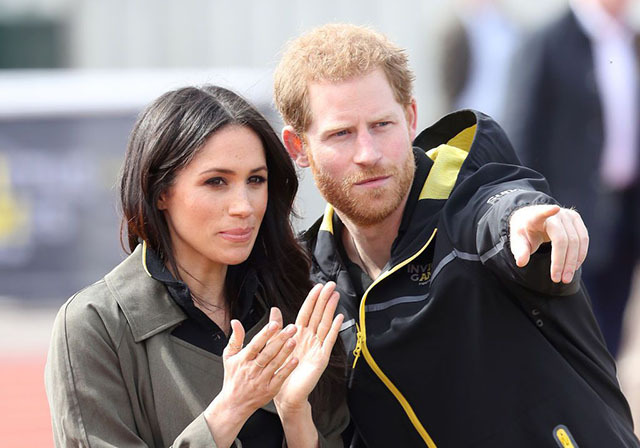 Harry and Meghan arrive in Bath. 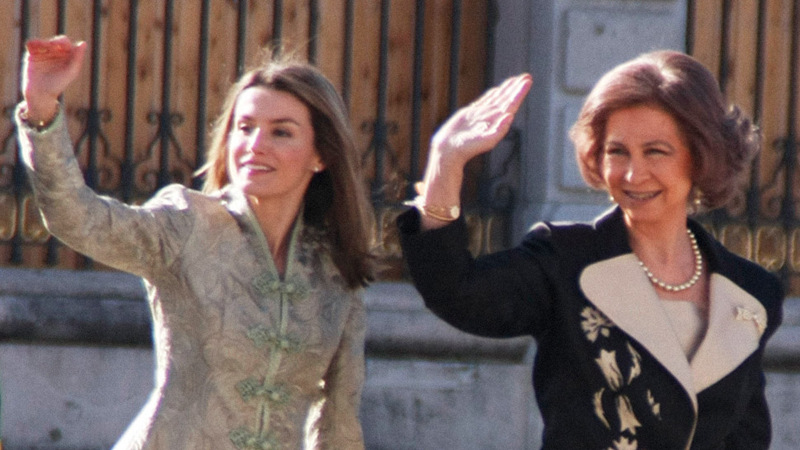 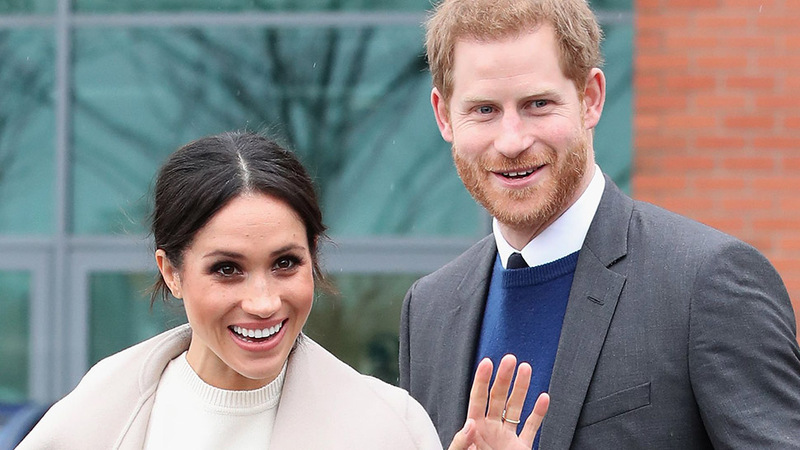 A wind-swept Meghan laughs upon arrival. 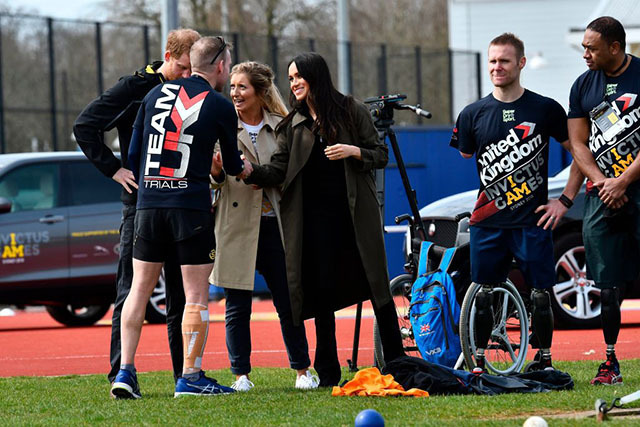 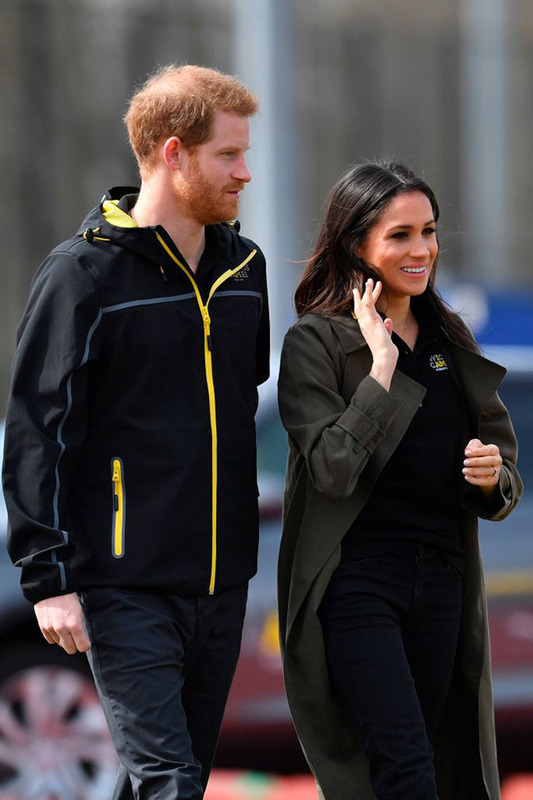 Harry and Meghan meet with an Invictus Games rep.
Meghan and Harry walk and talk. 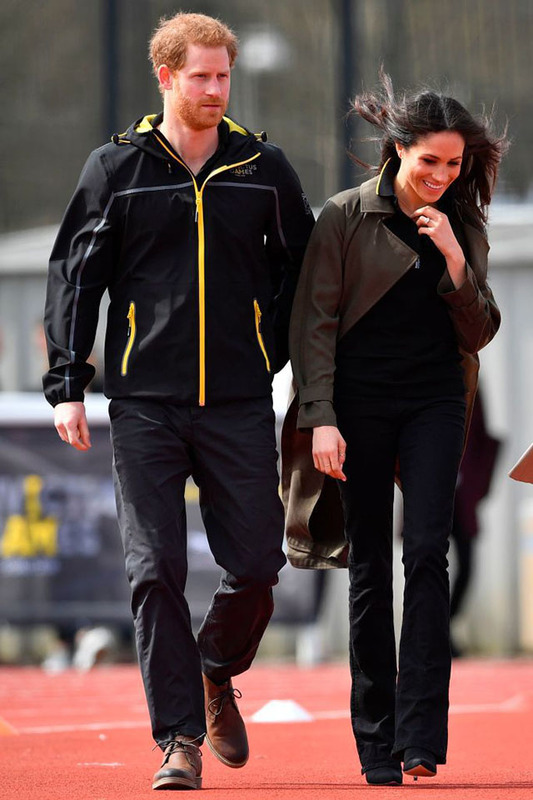 A close-up of Meghan's sporty top. 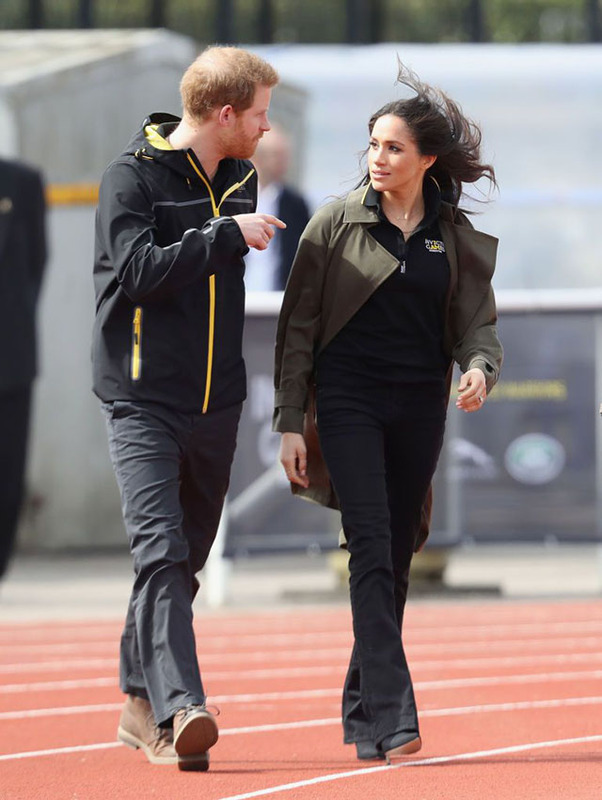 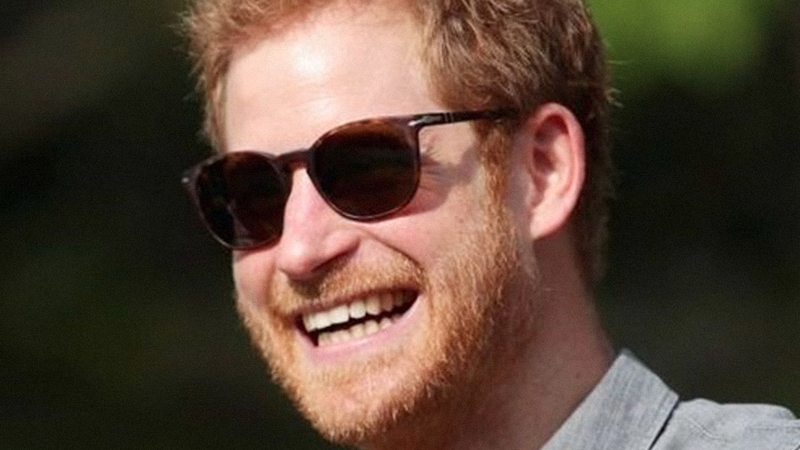 Harry points out a highlight to his fiancée. 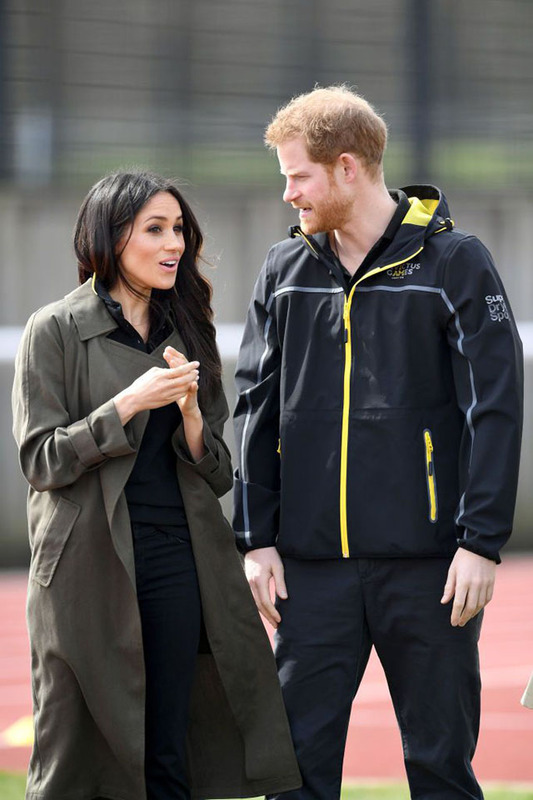 The royal couple chats with athletes. 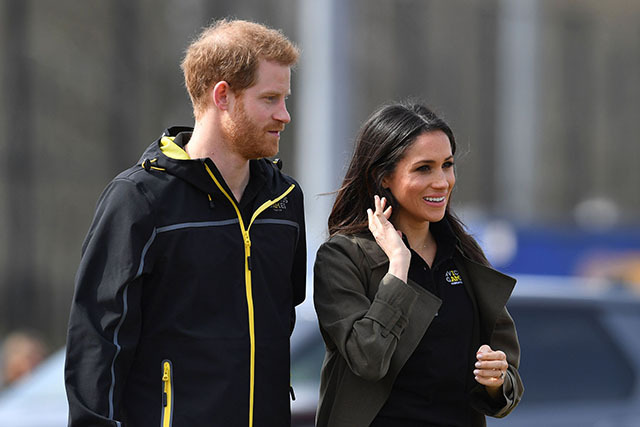 Harry and Meghan watch the trial events take place. 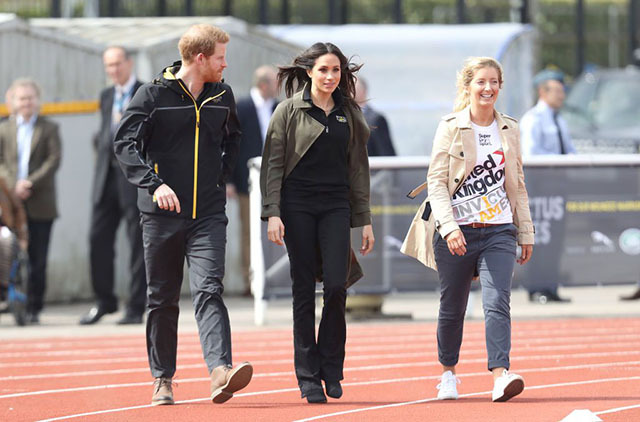 And Meghan cheers on the athletes! 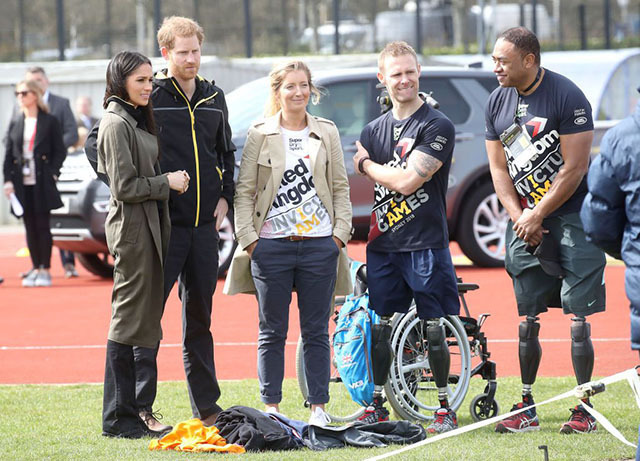 Meghan meets an Invictus athlete. 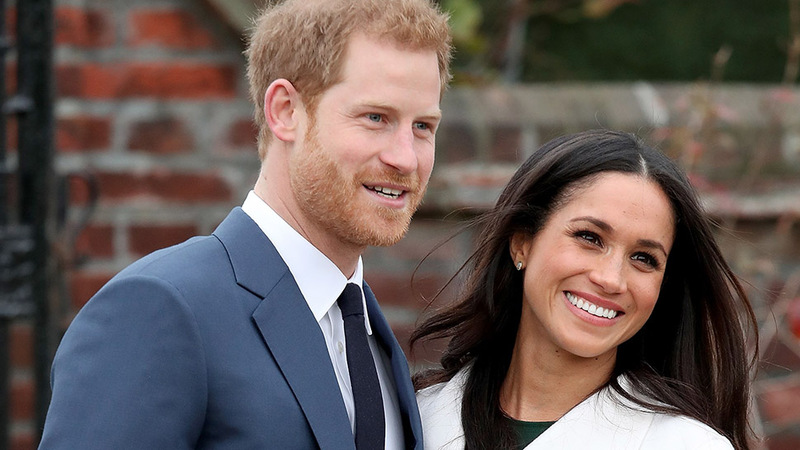 Another sweet snap of the couple. 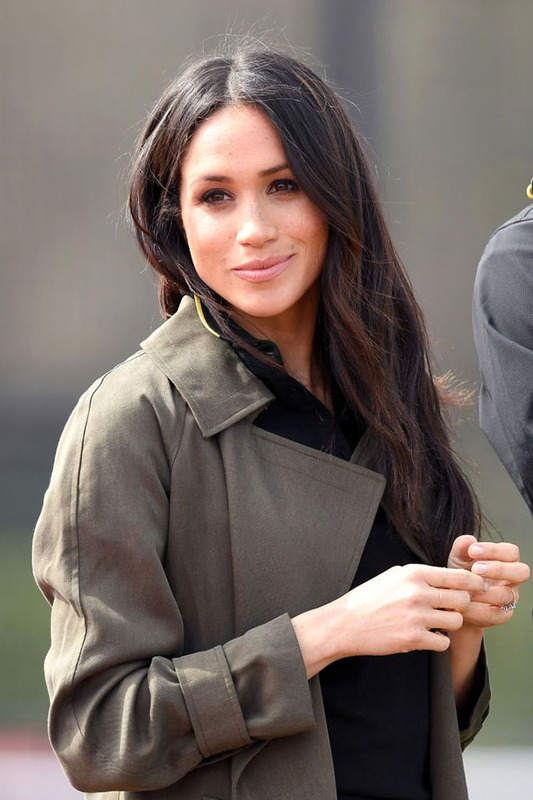 Meghan sported the perfect blowout. 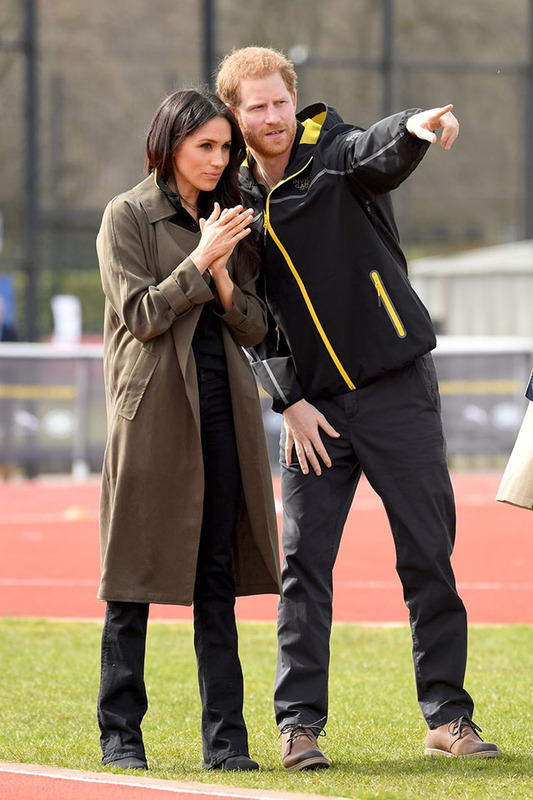 Harry and Meghan watching the crowd. 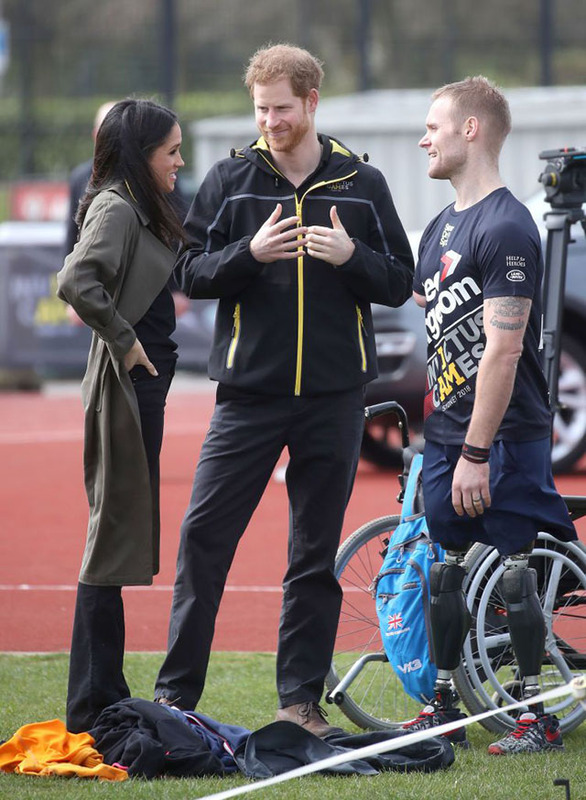 Harry and Meghan chat with an athlete. 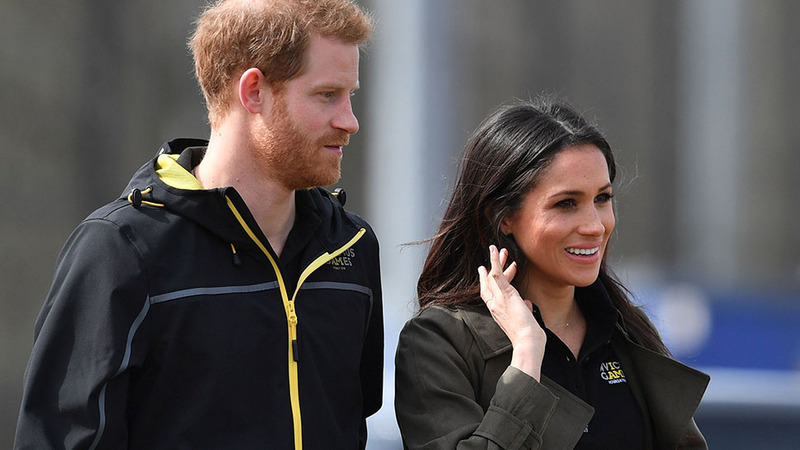 The couple sharing a sweet moment.